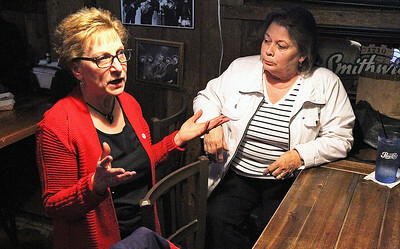 H. Rick Bamman - hbamman@shawmedia.com Precinct committeeman Rita Heuel (left) talks with McHenry County College board candidate Diane Evertsen Tuesday, April 4, 2017 at the Cottage in Crystal Lake. Evertsen won a six-year term. H. Rick Bamman - hbamman@shawmedia.com Candidates for District 155 School Board John Pletz and Donna Kurtz wait for election results Tuesday, April 4, 2017 at the Cottage in Crystal Lake. The promise of lower property taxes did not resonate with voters in Community High School District 155. Candidates supported by the District 155 Education Association Ron Ludwig (6,036 votes), Nicole Pavoris (5,914 votes) and Jason Blake (5,408 votes) were in the lead Tuesday night as the McHenry County Clerk’s Office tallied up the votes, according to unofficial returns. 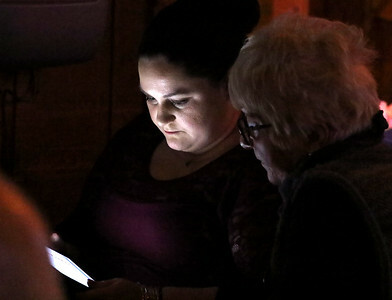 H. Rick Bamman - hbamman@shawmedia.com Nicole Edwards (left) checks election results with Linda DawsonTuesday, April 4, 2017 at the Cottage in Crystal Lake. 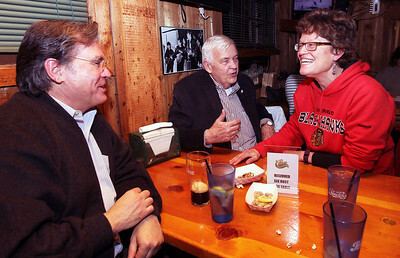 H. Rick Bamman - hbamman@shawmedia.com McHenry County College board candidate David Schenk (from left) board member Ron Parrish and District 155 School Board candidate Donna Kurtz wait for election results Tuesday, April 4, 2017 at the Cottage in Crystal Lake. 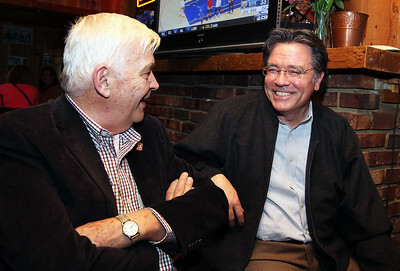 H. Rick Bamman - hbamman@shawmedia.com McHenry County College board member Ron Parrish (left) and McHenry County College board candidate David Schenk talk as they wait for election results Tuesday, April 4, 2017 at the Cottage in Crystal Lake. 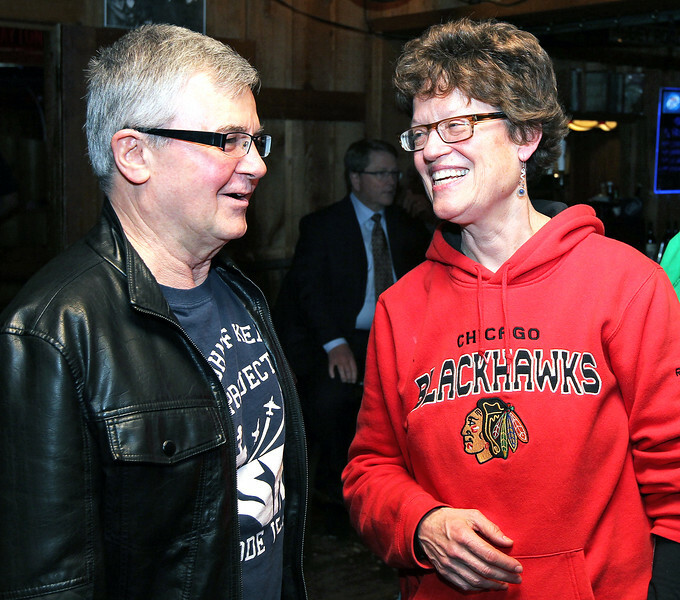 Candidates for District 155 School Board John Pletz and Donna Kurtz wait for election results Tuesday, April 4, 2017 at the Cottage in Crystal Lake. The promise of lower property taxes did not resonate with voters in Community High School District 155. Candidates supported by the District 155 Education Association Ron Ludwig (6,036 votes), Nicole Pavoris (5,914 votes) and Jason Blake (5,408 votes) were in the lead Tuesday night as the McHenry County Clerk’s Office tallied up the votes, according to unofficial returns.